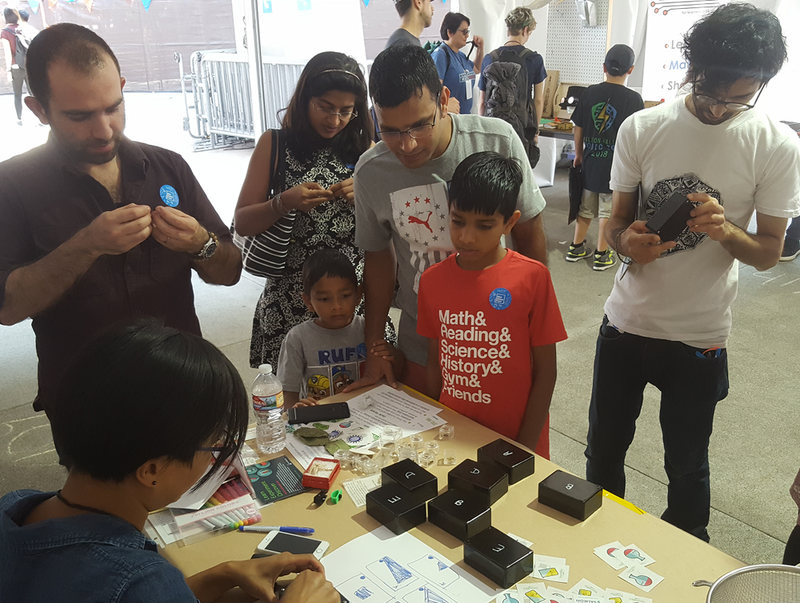 We had a fantastic time at Seattle's Mini Maker Faire, 2018 at MoPOP in Seattle's City Center this past weekend, Aug 18 - 19th. This is the second time SoundBio Labs hosted a table at this 2 day event. We presented a new tabling activity this year, and it was very well received by both kids and adults. 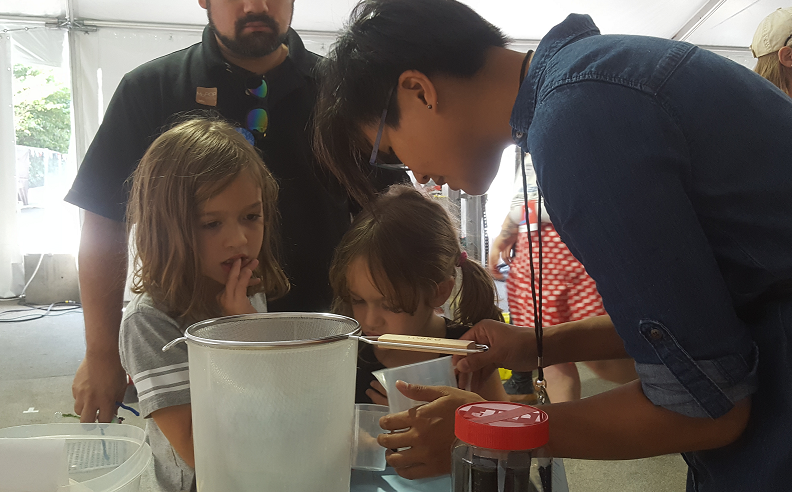 With the help of one of our members, Riti Biswas, who was working at the Baker Lab at UW, we came up with the Filtration Challenge. The goal is to separate out rice from 3 other 'contaminants' that are all mixed together in a bowl. We provide participants with a variety of scientific 'tools' to complete the challenge. It's up to them to figure out the best way to do it. Appeals to a wide age range - everyone enjoys a challenge! Our second challenge was the (always well received) Black Box Challenge! Folks love this puzzle because it's hands-on, and well, quite difficult! We offer 5 different black boxes that all have a marble in them. The participant needs to figure out, by rolling the marble around, what shape is inside each box. We have a sheet that shows all the shapes, and they have to match the boxes to the sheet correctly. The idea behind this challenge is that science is very much a black box! We need to use our observation skills and we need to gather evidence to support our hypothesis. So there you have it, another great Maker Faire for SoundBio Labs, in the books!